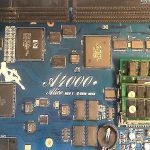 The A-EON Technology linux support is pleased to announce to possibility for upgrading/downloading to Fedora 27/64bit server edition for AmigaOne computers. As with previous releases of this distro, Fedora 27 Server provides a flexible, multi-role platform for datacenter operations, allowing users to customize this edition of the Fedora operating system to best fit their unique needs. New features for Fedora 27 Server include FreeIPA 4.5, which improves running the security information management solution in containers, and SSSD file caching to speed up the resolution of user and group queries. 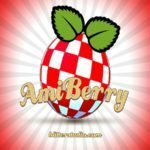 Click this link for more information on how to upgrade/install Fedora 27/64bit server edition on AmigaOne computers.